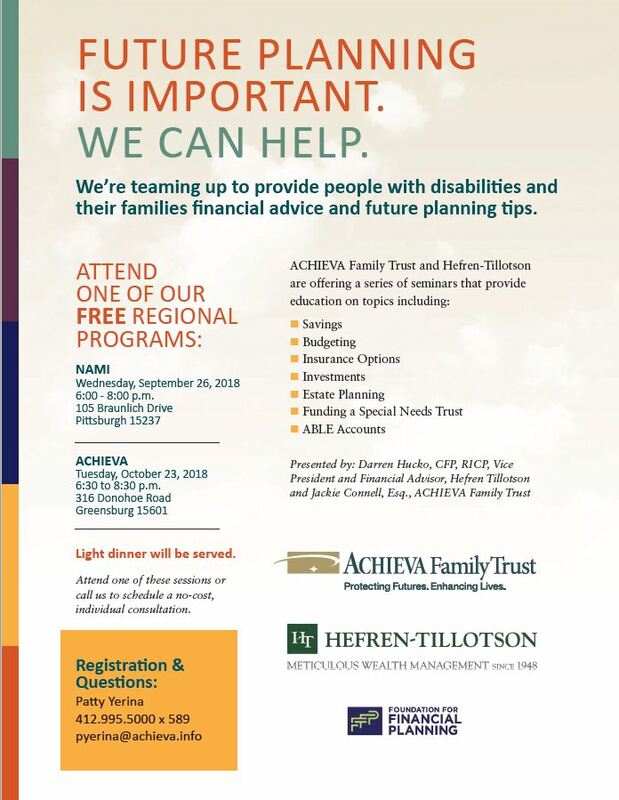 ACHIEVA Family Trust and Hefren-Tillotson are teaming up for a series of free seminars that provide education on various financial topics including Special Needs Trusts, ABLE Accounts, Estate Planning and more. Registration is required. To register, contact Patty Yerina by phone at 412-995-500 (ext. 589) or by email at pyerina@achieva.info. Additional information is listed below.